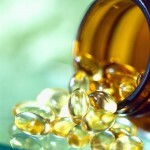 Vitamin E is an antioxidant vitamin preventing the propagation of free radicals. 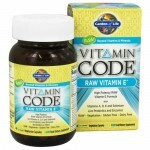 Vitamin E and other important antioxidants can be found in a high-quality Multivitamin for Men. Vitamin E is one of a number of nutrients called antioxidants which are believed to help prevent disease by fighting free radicals, substances that harm the body when left unchecked. Antioxidants are nutrients that block some of the damage caused by toxic by-products released when the body transforms food into energy or fights off infection. The buildup of these by-products over time largely causes the aging process and can lead to the development of several health conditions such as heart disease, cancer, and many inflammatory conditions like arthritis. Antioxidants protect us against these conditions and help reduce the damage to our body caused by toxic chemicals and pollutants. Free radicals are formed by normal bodily processes such as breathing, and by environmental contaminants like cigarette smoke. Without adequate amounts of antioxidants, these free radicals travel throughout the body, damaging cells. Part of this cellular damage leads to one of the major known factors in the development of heart disease, oxidation of cholesterol. Oxidation, meaning the addition of oxygen to low-density lipoproteins (LDL), contributes to the build up of fatty plaque on artery walls (atherosclerosis), which can eventually slow or block blood flow to the heart. Vitamin E helps prevent arteries from clogging by blocking the conversion of cholesterol into the waxy fat deposits called plaque that stick to blood vessel walls. 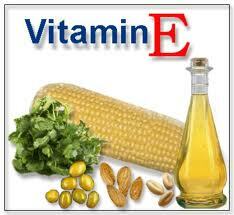 Vitamin E also thins the blood, allowing blood to flow more easily through arteries even when plaque is present. Studies in the last decade have reported beneficial results from the use of vitamin E supplements to prevent heart disease and other types of cardiovascular disease. Studies that compared men with a history of stroke that took aspirin with and without vitamin E and found that vitamin E with aspirin significantly reduced the tendency of plaque to stick to vessel walls and decreased the risk of stroke. Vitamin E helps to protect the cell’s outer protective barrier from free radicals. 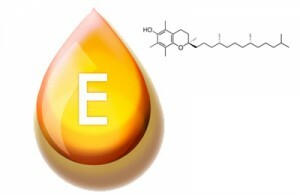 Vitamin E will become a part of the cell barrier and will grab on to free radicals who try to “steal” from the cell barrier. This is important because that barrier is your cells first defense against damage caused by either free radicals or other harmful things, like bacteria and viruses. And damage to your cell barrier is the first step towards a dark path for cancer, heart disease and other degenerative diseases. It is important in protecting the cell barrier so free radicals don’t intrude and get to the goods of your cells. Vitamin E deficiency occurs in people unable to absorb fat properly. Such conditions include pancreatitis (inflammation of the pancreas), cystic fibrosis, and biliary diseases (illnesses of the gallbladder and biliary ducts). Symptoms of deficiency include muscle weakness, loss of muscle mass, abnormal eye movements, impaired vision, and unsteady gait. 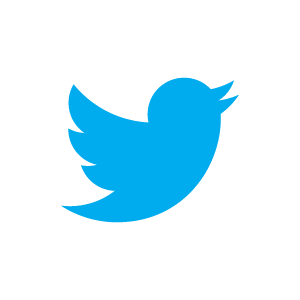 Eventually, kidney and liver function fail. 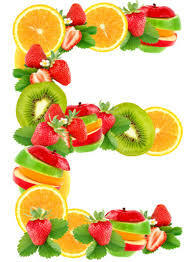 Vitamin E antioxidant benefits occur when you start to take at least 100mg per day. It’s rather difficult to get that much Vitamin E on a daily basis from food alone since there is a limited amount of foods high in Vitamin E. In this case, supplements are the best option to get antioxidant benefits if you want to get at least 100mg per day. A good multivitamin is the foundation of health and nutrition. If you are looking for a high quality multivitamin, Multivitamin for Men is a good product to be taken.